Think heritage RAM brand style with all-new appeal. A bold new exterior with sculpted design, smart cargo management and advanced technology pushes the boundaries of what you think a truck can be. More space. More storage. More leather. More technology. The all-new 2019 RAM 1500 is truly the best combination of grit and grace. 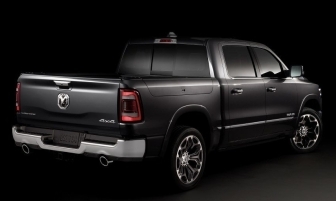 Step up to the most luxurious truck in its class! 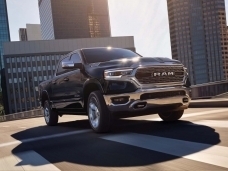 Bigger, bolder and aggressive in all the right places, the All-New 2019 RAM 1500 welds rugged toughness with chiselled grace to create a sculpture in grit and grace. The new aluminium tailgate features an integrated spoiler, updated RAM Truck badge with bold geometric shapes, a strong border and RAM lettering in the new font. The sculpted exterior drives air to the box to keep the truck moving, while advanced features such as active grille shutters and a Class-Exclusive active air dam automatically deployed at higher speeds. The result? The lowest frontal drag coefficient (13.0CdA) in it's class. 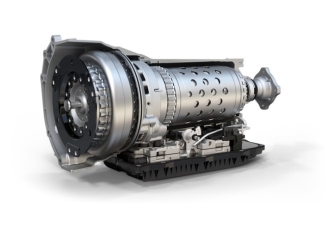 The Class-Exclusive standard TorgueFlite eight-speed automatic transmission employs next-generation technology, including the eTorque mild hybrid system, to automatically handle and optimize shift changes and points for efficiency, performance and drivability. 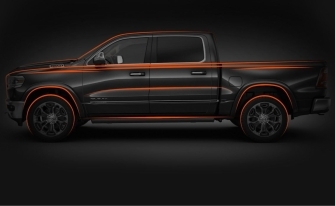 Designed to be one of the most technologically advanced pickups, the All-New 2019 RAM 1500 integrates state-of-the-art tech, device connectivity and fourth-generation Uconnect systems for an experience like no other. The available premium 7-inch Driver Information Digital Cluster Display bring information to life with full colour, high definition 3-D graphics. 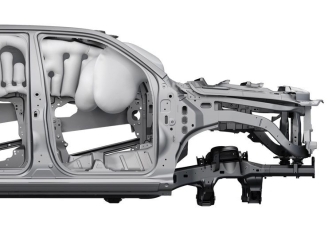 Frame-mounted active tuned mass module work in harmony with the available interior active noise cancellation system that helps reduce ambient sound to provide a Best-in-Class Interior Quietness in Real World Conditions of 57.6 decibels adjusted. Stay charged and connected. A media centre with standard ultra-fast USB charging ports and auxiliary ports means you can always plug in. Fold up the rear bench seat to access available Class-Exclusive adjustable rear under-seat storage, with compartments that can store up to 40 litres with the fold out feature. 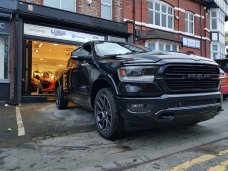 Whether you're piling in tools or sports equipment, the All-New 2019 RAM 1500 has it covered with a Best-in-Class interior storage volume of 151.1 litres, including Class-Exclusive in-floor storage. That's nearly twice as much interior capacity compared to the closest competitor. Stash your stuff and charge up to five phones in the new Class-Exclusive centre console, redesigned with features such as a bin for hanging file folders, space for a 15-inch laptop and Class-Exclusive Type-C USB high-speed charging ports.